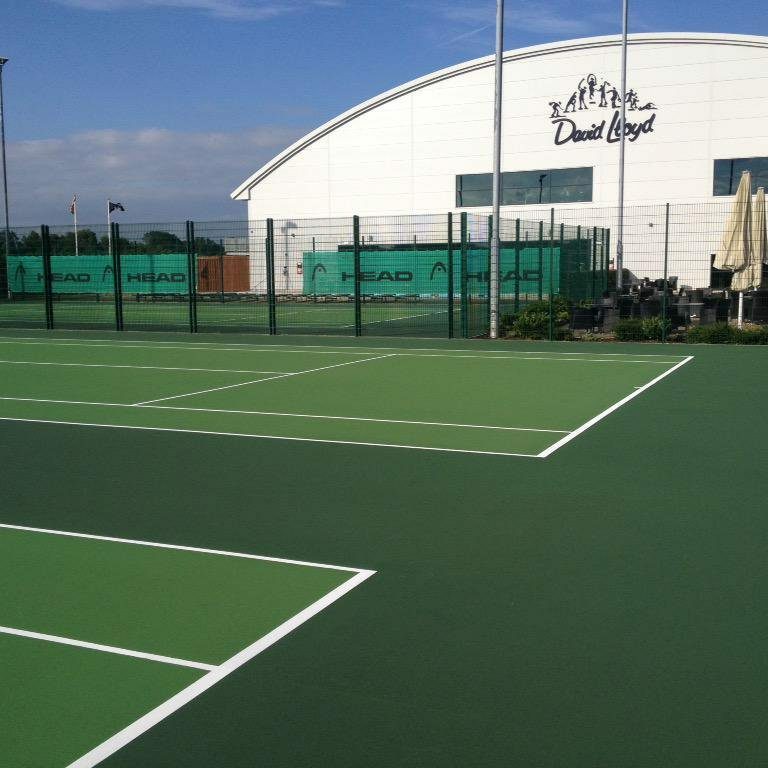 Cleaning, Painting & Maintenance of Sports Surfaces. 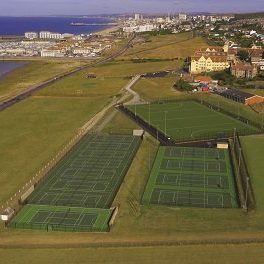 There are a range of different tennis surfaces played on in the UK, mostly porous to cope with the demands of our weather systems. ColourWorks are unique within our industry as we have the experience of installing and working on them all. 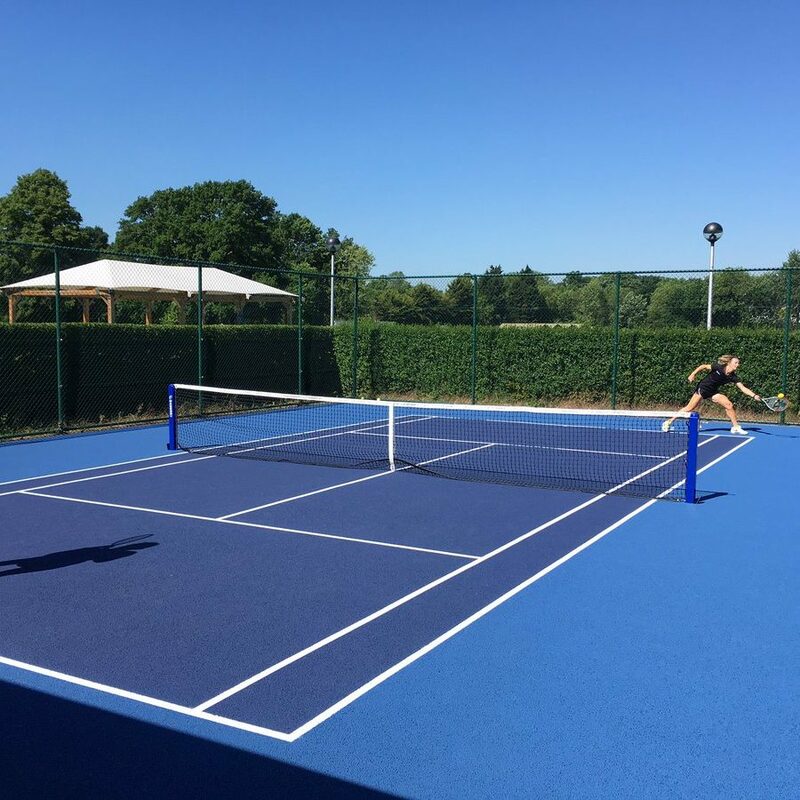 From domestic courts in private gardens, large blocks of multiple courts at Tennis Clubs & Schools to Indoor Tennis Centres with High performance surfaces. The majority of household courts are made from porous macadam. 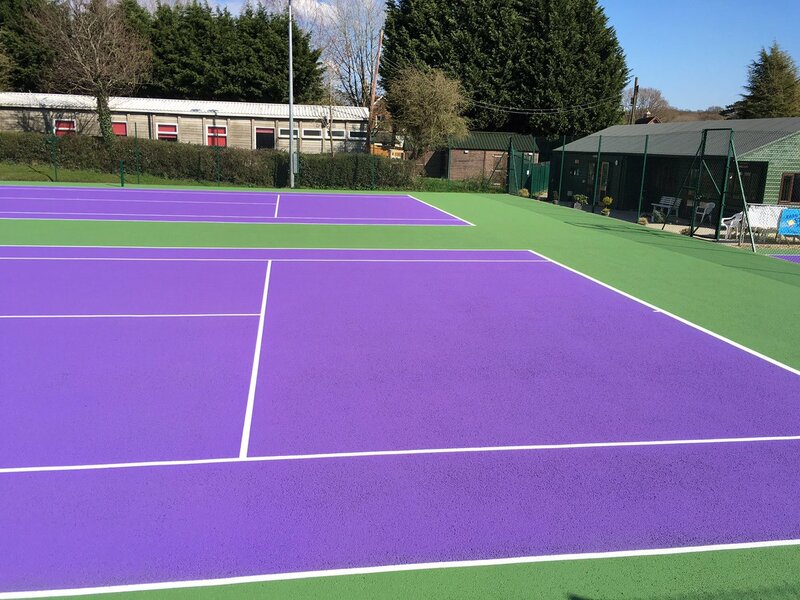 We repaint older courts and paint new surfaces for builders. A macadam surface will generally last for 15 to 20 years if maintained and is often repainted two or three times in this period. 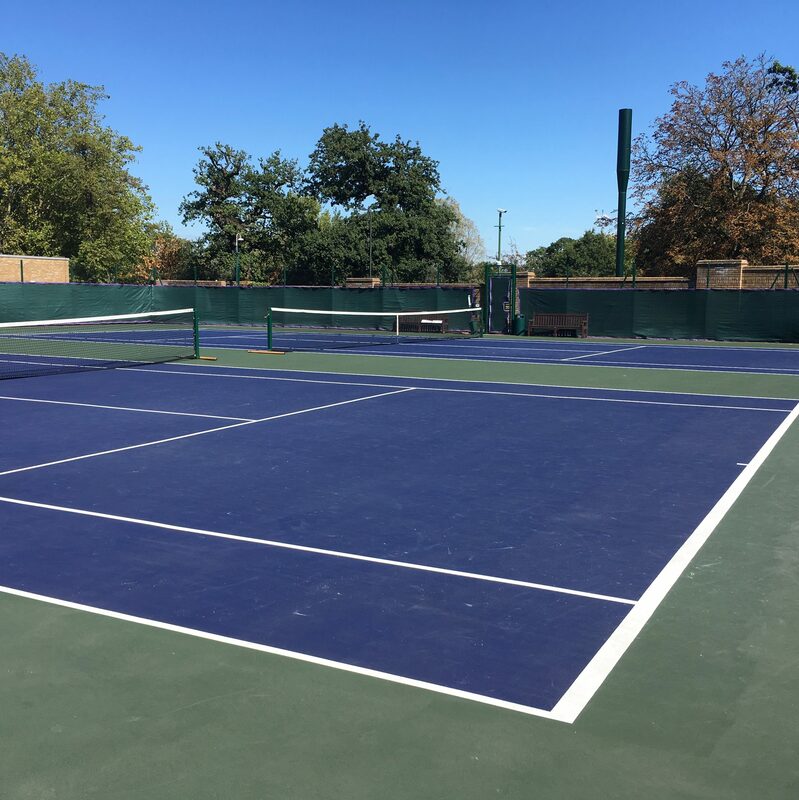 We paint over 150 private courts each season. Regular cleaning will keep it looking attactive and safe for the family to play on. 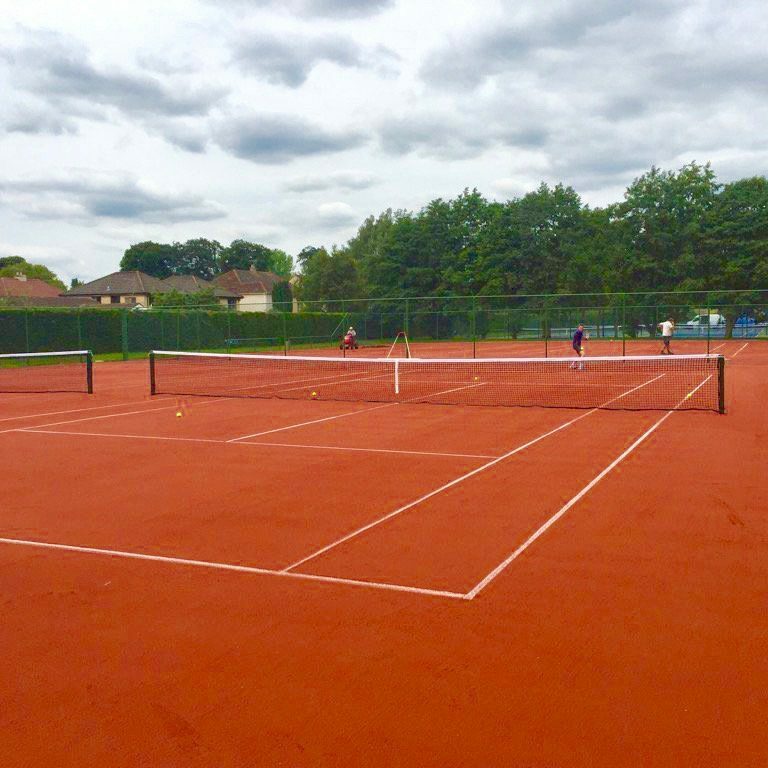 Most courts that we refurbish at tennis clubs are macadam, whilst synthetic grass & clay are popular alternative surfaces for members. 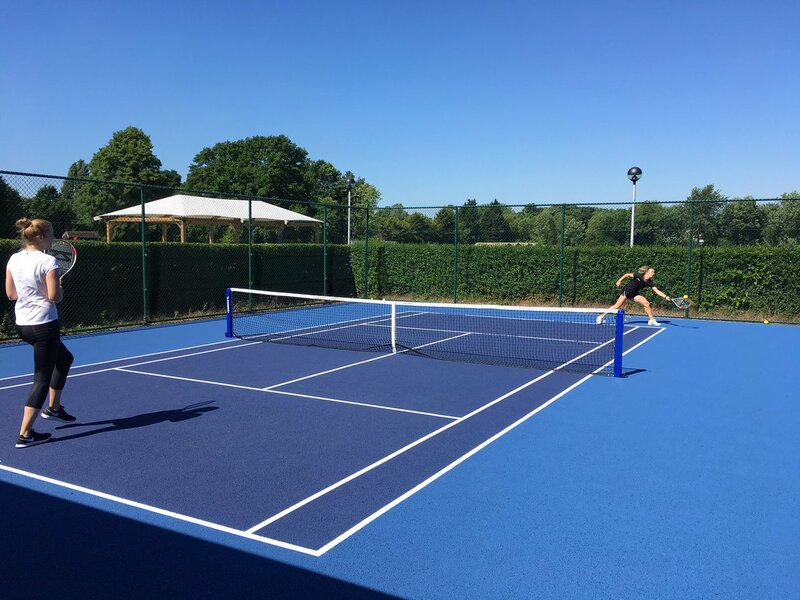 Large tennis clubs may have two or three types of surface, each one with different playing properties to suit players of different standards. Whatever the size of your club we can advise you on the best maintenance arrangements to suit your clubs’ requirements. Schools often combine multiple sports onto one playing area. Netball requires a higher slip resistance than for tennis. A more durable coating can be applied with added extra aggregate to the formulation ensuring a higher grip surface. We regularly work with industry testing specialists to ensure the slip resistance values and standards are met for your facility. These surfaces are a permeable rubber mat glued to a porous macadam base and spray painted in a two-tone colour scheme. ColourWorks has been applying the paint coatings to Poraflex surfaces since they were introduced nearly 10 years ago. This surface requires the specialist knowledge of an experienced applicator to ensure the porous features are retained. 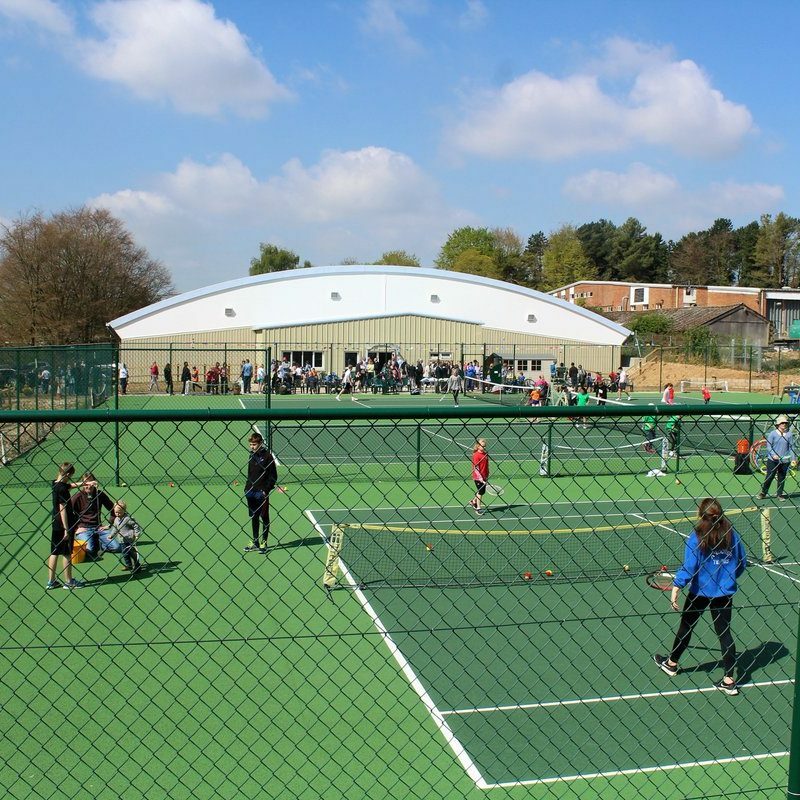 Mini tennis participation is increasing each year and the demand for courts is growing. Kids Zone areas are also popular. 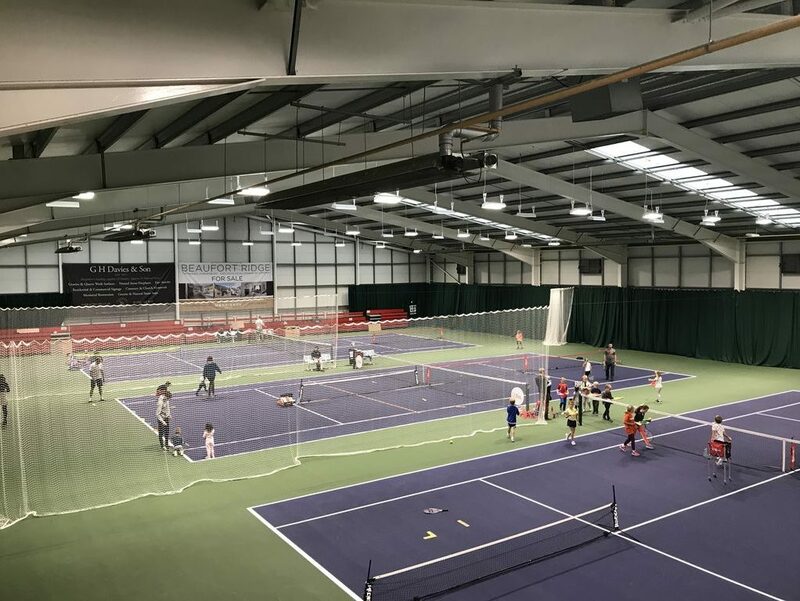 With smaller courts, nets, rackets and lower bouncing balls, Mini Tennis offers the perfect introduction to the sport. Reduced dimensions combined with attractive colour schemes can provide the fun and energy of the real thing. 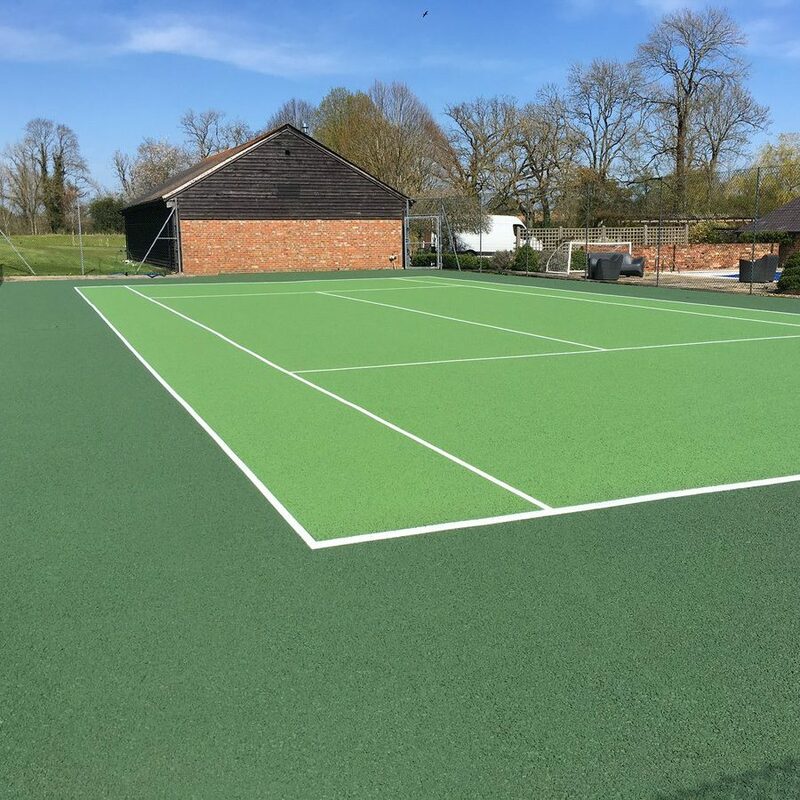 Plexipave is an advanced non-porous tennis court surface designed to provide players with the highest levels of performance. 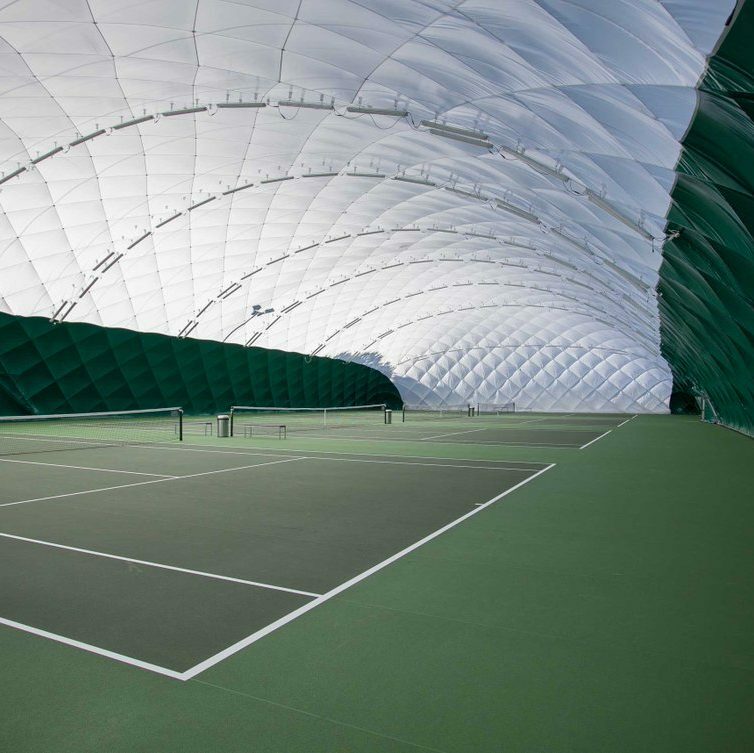 Known for it’s consistent speed of play, true ball bounce & durability, Plexipave is the premium surface for Indoor Tennis Centres. The worlds’ most recognised hard court surface, Plexipave is the choice of major tournaments including the Australian Open. 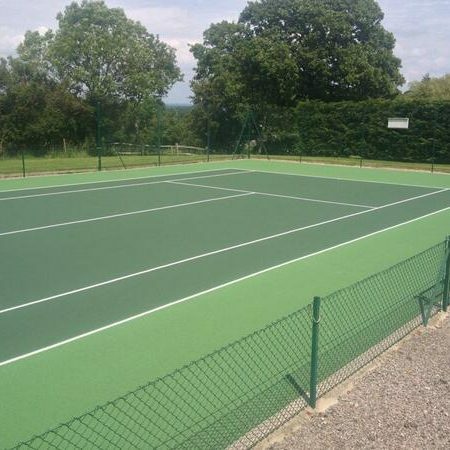 ColourWorks Coatings has specialised in maintaining and colour coating tennis courts since 1986. 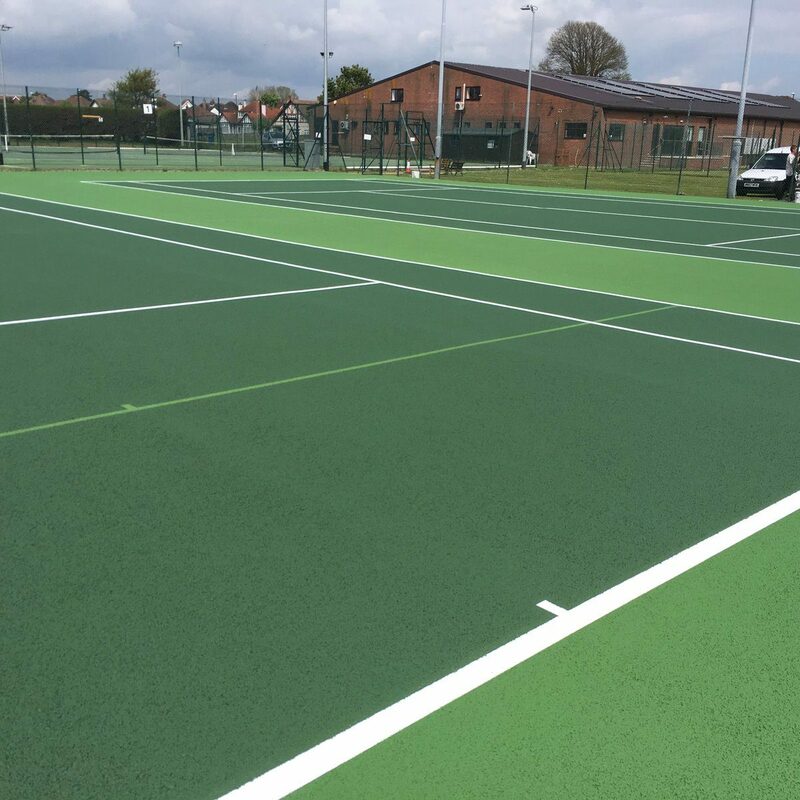 Our primary focus is refurbishing tennis courts for residential clients, tennis clubs, schools, universities and local authorities. We are happy to provide quotations and advice without obligation and can supply budget costs and maintenance programmes to aid planning. 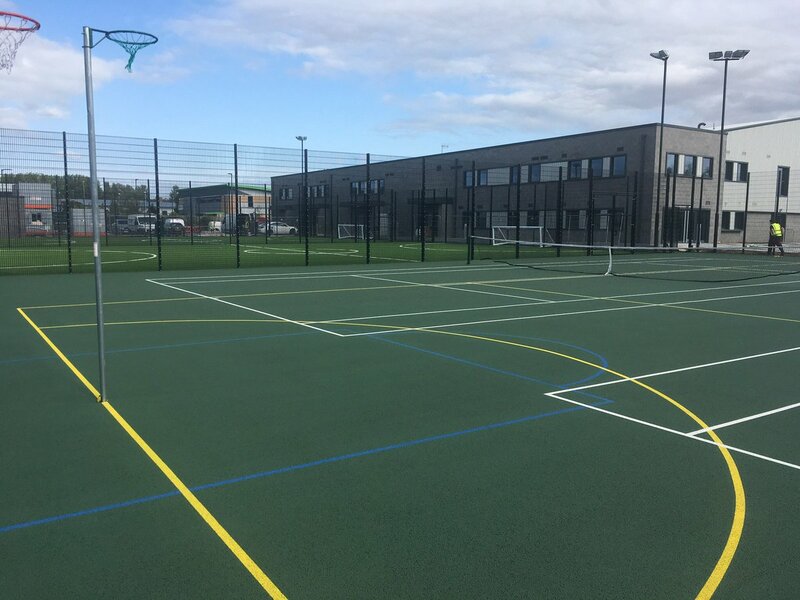 Our associate company Plexipave (UK) Ltd is the exclusive authorised installer in the UK & Ireland for California Sports Surfaces. 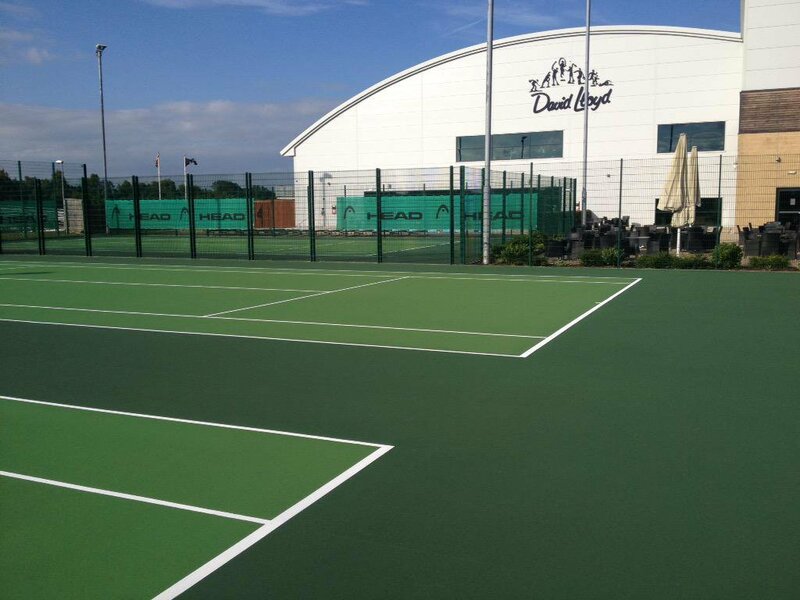 Our range of professional acrylic surfaces include Plexipave – the surface of the Australian Open – and Decoturf – the surface of the US Open. We’re a registered limited company and possess full Employer and Public & Products Liability Insurance up to £10 million. 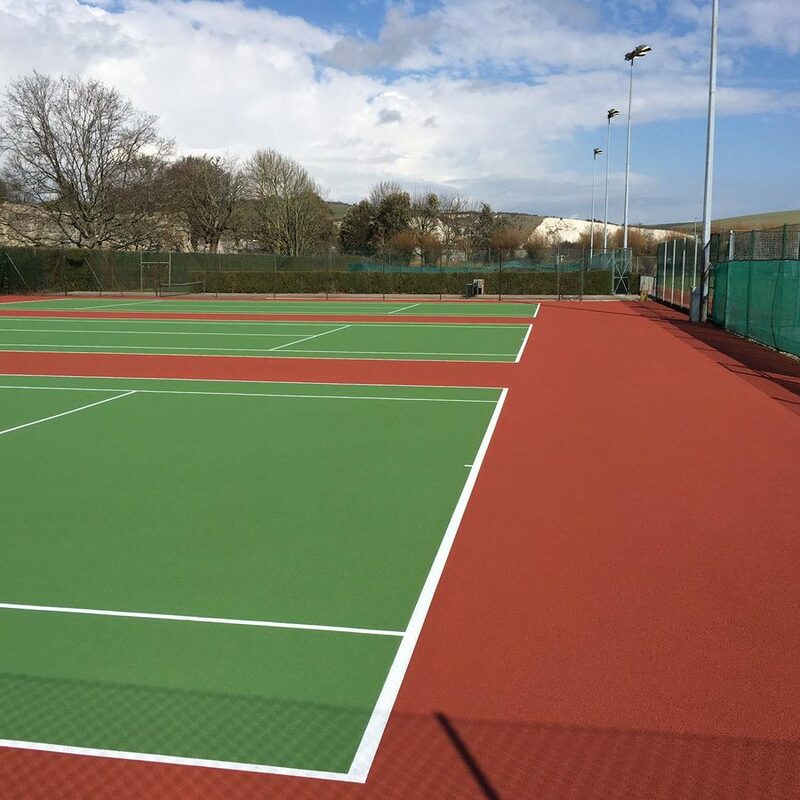 As members of SAPCA we helped to develop the Code of Practice for the Painting of porous macadam Tennis and Netball Courts. Membership signifies professional competence and financial stability. Many of our employees have been with us for over 10 years, some for over 20. All of our staff have been DBS checked for work at schools and are trained in Health & Safety, possessing the Construction Skills Certification Scheme (CSCS Card) qualification. 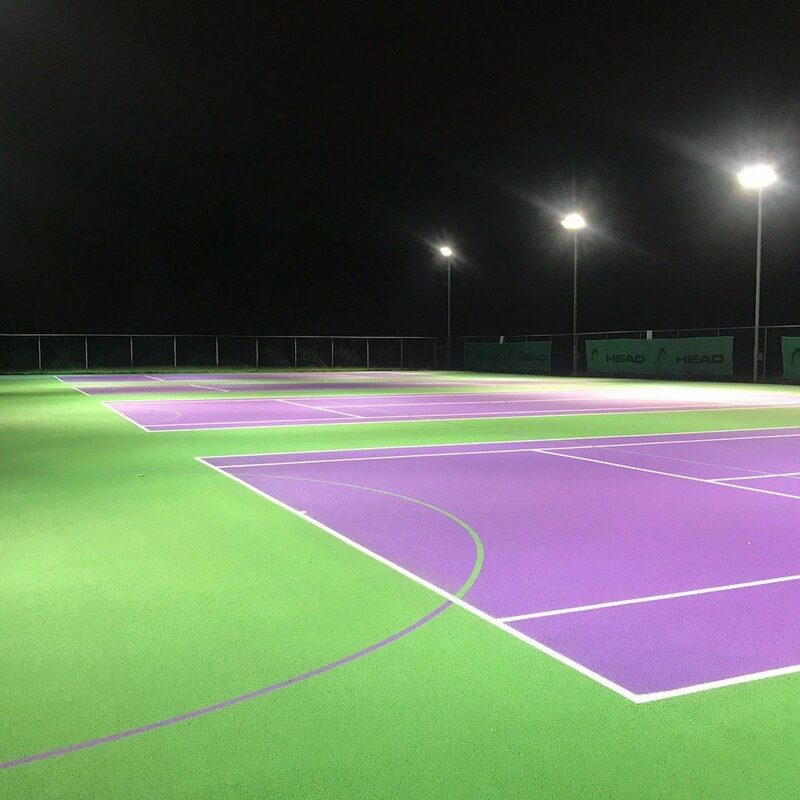 We undertake work for Private Individuals, Tennis Clubs, Schools, Colleges & Local Authorities and annually clean & paint over 400 tennis & netball courts. Based near Gatwick in the South East of England, we run 6 teams of experienced installers and undertake projects throughout the UK. 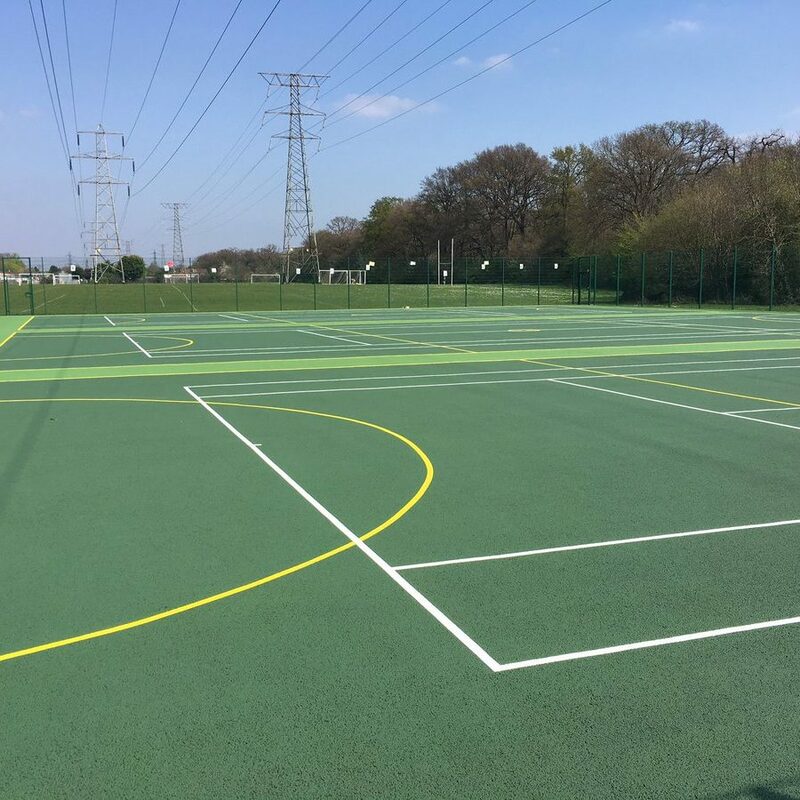 We are extensively used by many large sports surfacing companies, who sub-contract the final colour coating and line marking works to us. They know they can trust ColourWorks to provide a reliable, high standard of work in minimal time, as do our regular customers. 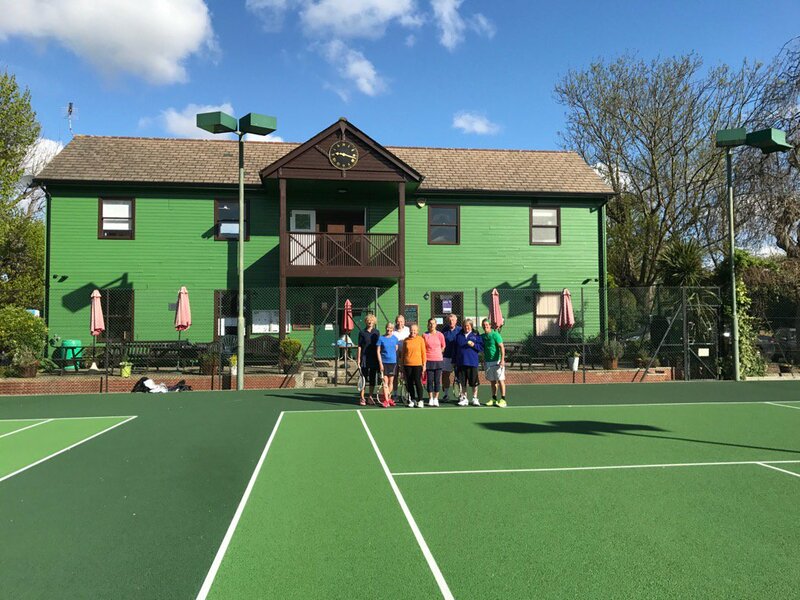 Repainting an existing court will rejuvenate its appearance, improve the slip resistance and extend the life of the surface. The result is a court that will be attractive and a pleasure to play on once more. 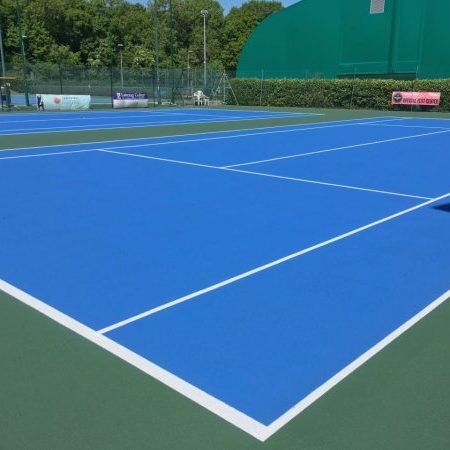 Applied in conjunction with a Surface Binder, repainting will make your court last for many more years. If your court has moss growth and appears dirty then the starting point will be a professional pressure wash. This will improve the appearance, drainage and help restore the grip. Combined with a chemical treatment, subsequent repainting should not adversely effect its porosity. This is a method of strengthening an older surface by spraying a specialist product prior to the paint coatings. The binder coating also acts as a primer and is a clear texture-free product. The coloured coating layers are sprayed onto the binder to create a stronger, more durable coating. 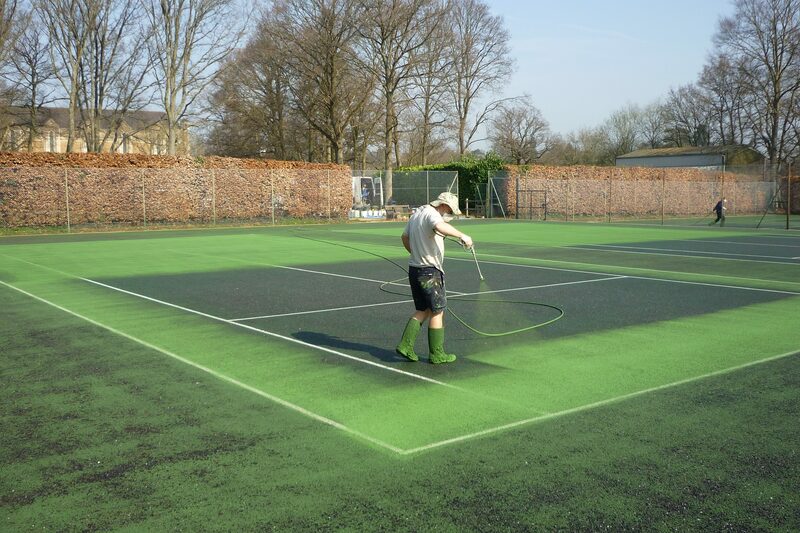 As well as looking attractive, colour spraying will restore the slip-resistance to your tennis court. 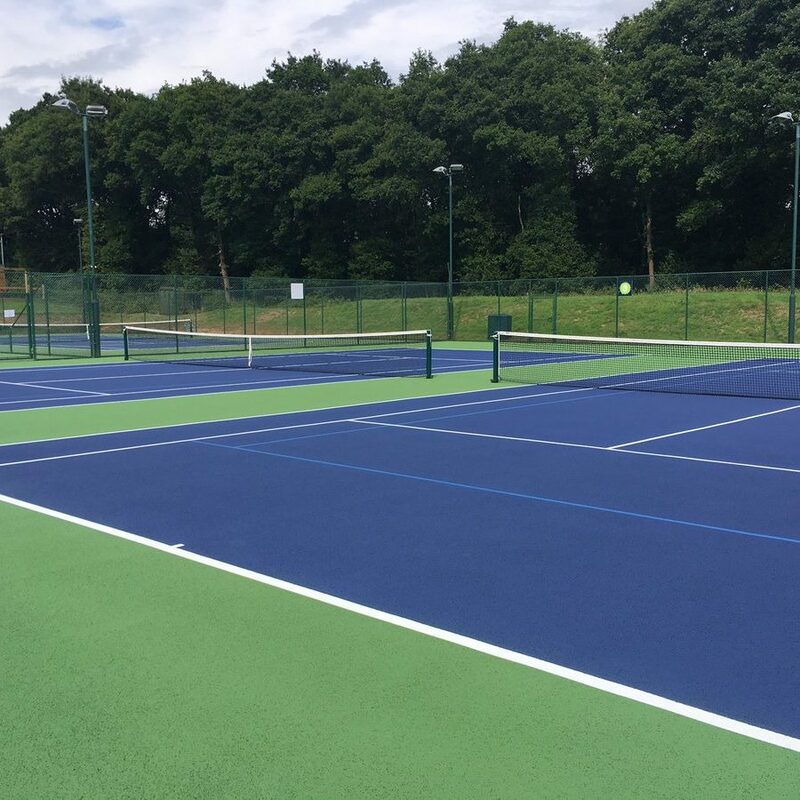 Applied correctly at the recommended cover rates, the specialist paint delivers strong grip for players moving around the court and a bright colourful finish to be proud of. 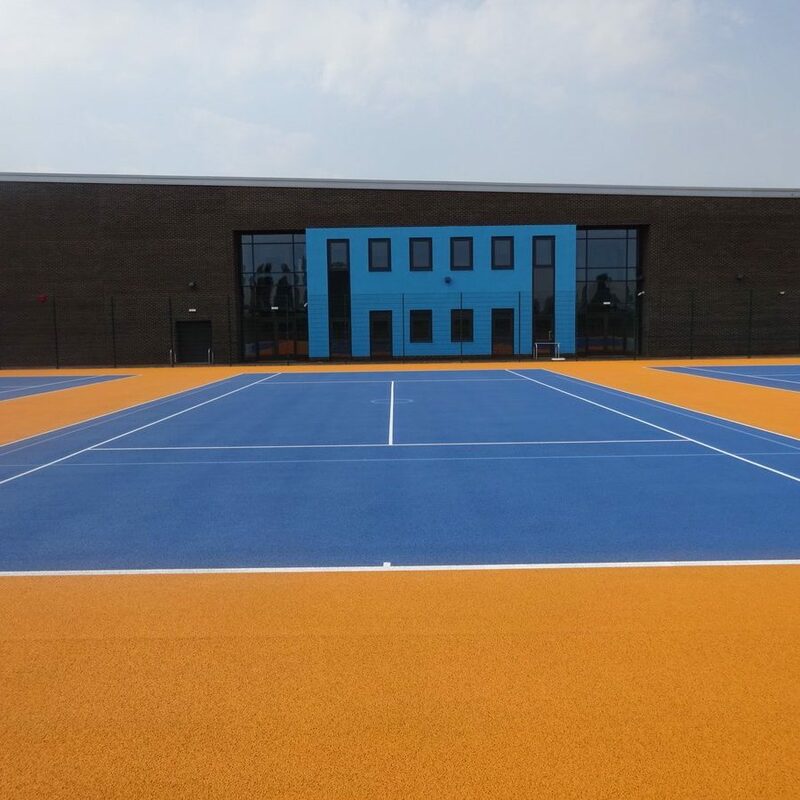 Our specialist teams have over 25 years experience in the colour spraying business, and the court refurbishment services we offer cannot be beaten for quality and value for money. 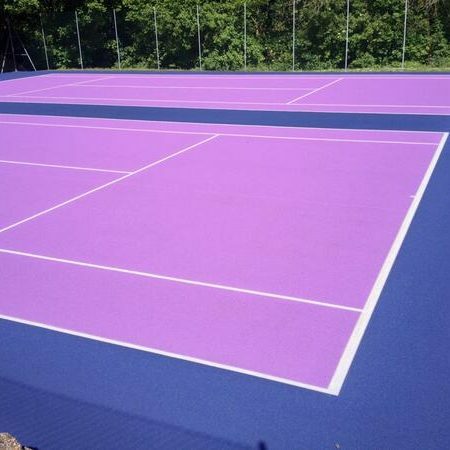 Tennis court paint contains texture to prevent excessive slip. 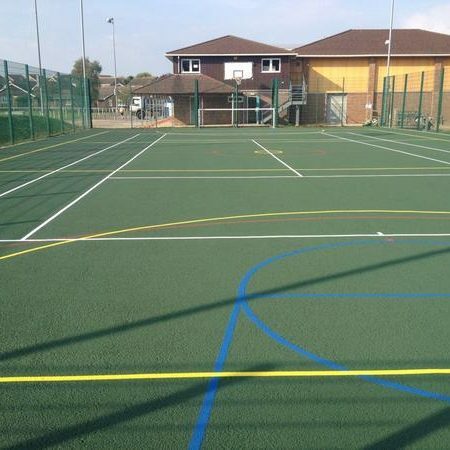 The coatings applied by us are the highest quality available, and our equipment is also capable of applying coatings that require a higher level of texture such as for Netball courts at schools. 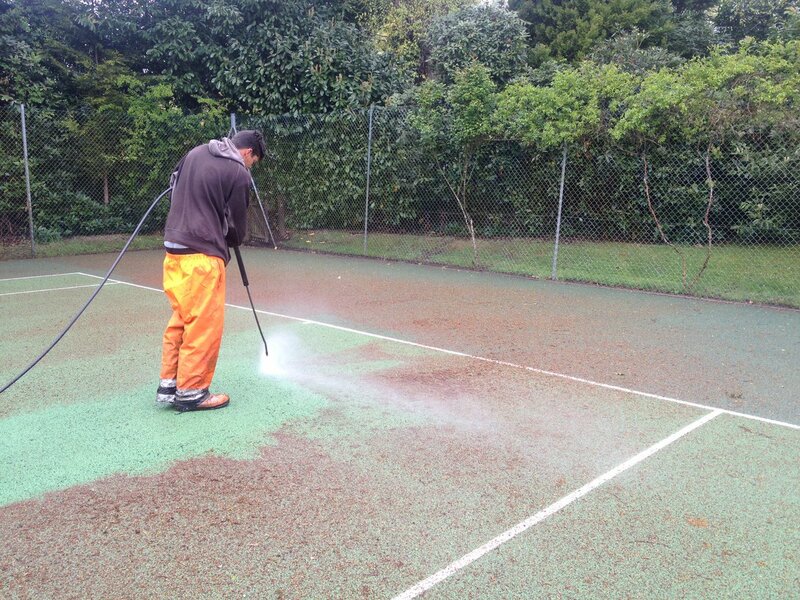 Pressure cleaning is the most important part of tennis court maintenance. Court surfaces will always get moss and algae and a build up will cause the court to become slippery and very unsafe to play on. An important aid to the cleaning is the chemical treatment of the moss and algae which makes the cleaning process more effective. 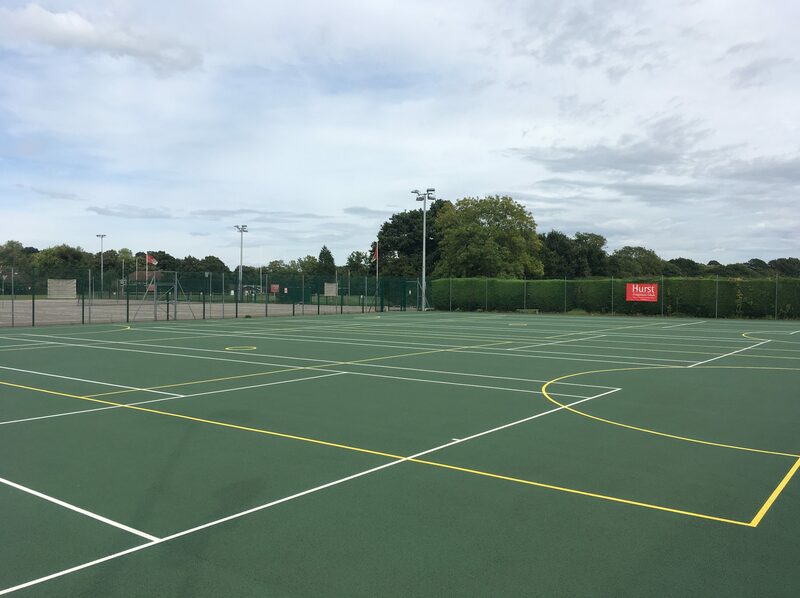 With a full intensive pressure clean service, the moss and dirt will be removed and the court ready for repainting if necessary. 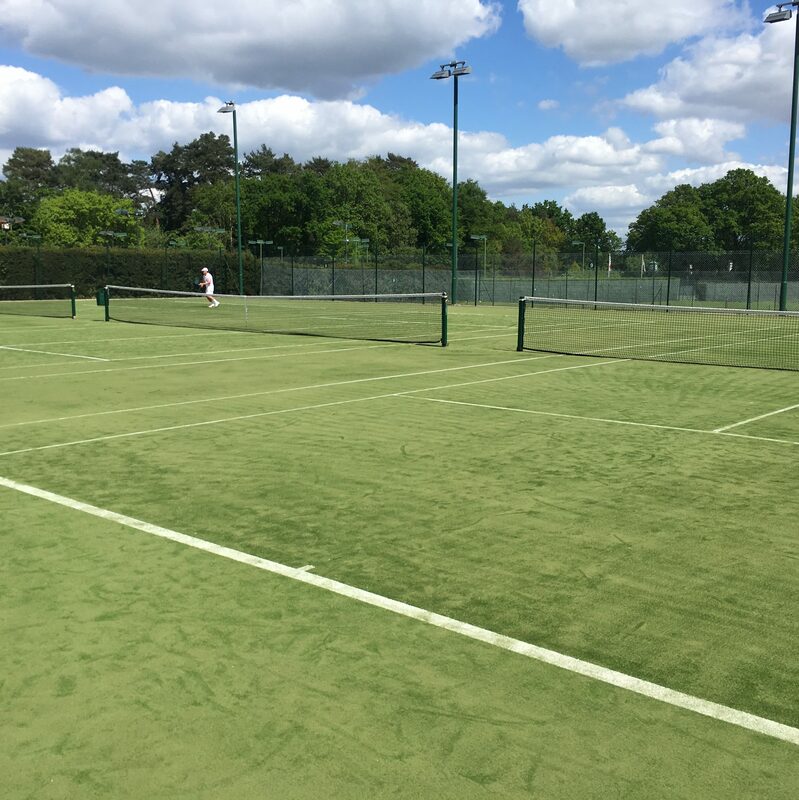 Once this is achieved most courts will only need an annual wash off and treatment to keep moss and algae away. On older macadam surfaces, the original bitumen binder incorporated into the macadam mix will age and eventually weaken. With the progress of time, the surface begins to fret resulting in areas of loose stone and wear. 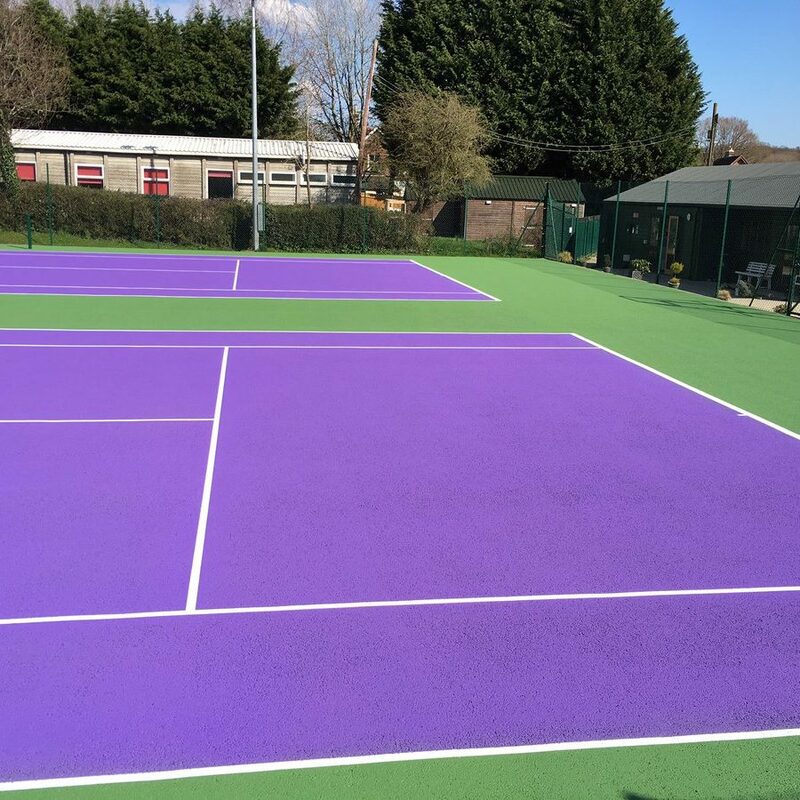 Surface Binders are clear glue-like coatings that are applied to macadam to provide enhanced strength to the playing surface. Binders also aid the adhesion of the paint coating to the macadam surface, acting as a form of tack coat. They do not have any form of texturing agent so if a binder coat is applied a court must also be colour coated in order to provide grip. 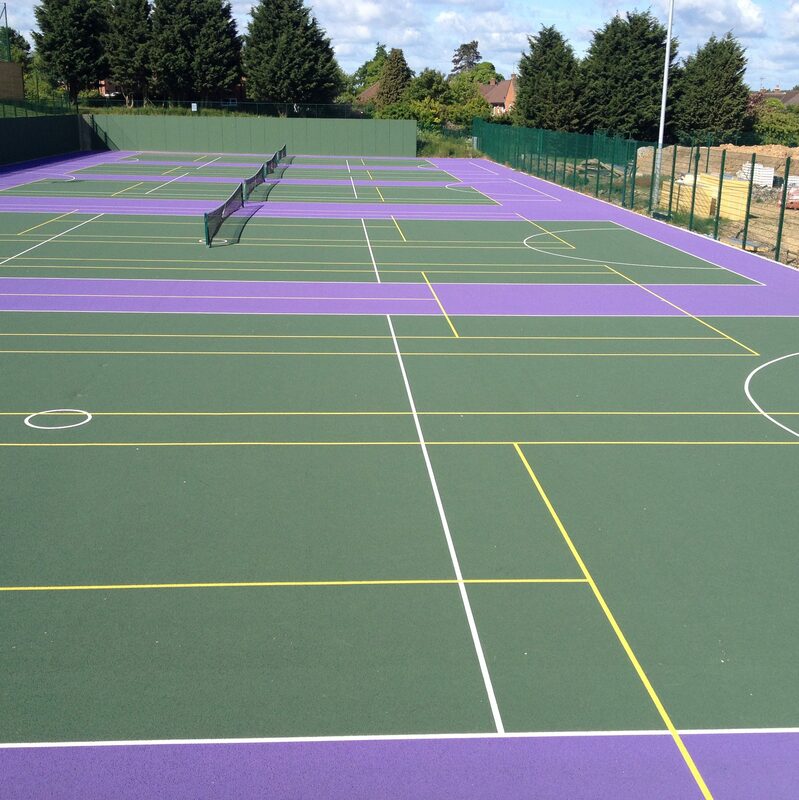 Each year we apply specialist coloured sports coatings & line markings to over 400 Tennis & Netball courts. 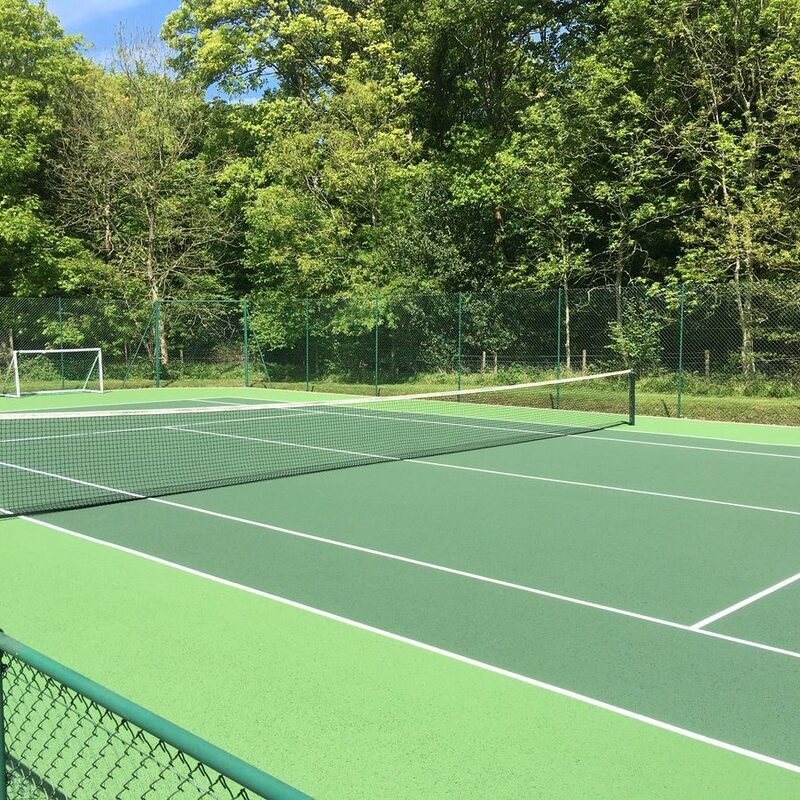 In excess of 100 of these courts are refurbishments for local clients in the South-East. Our work is either direct for private clients or as a sub-contractor for court builders. 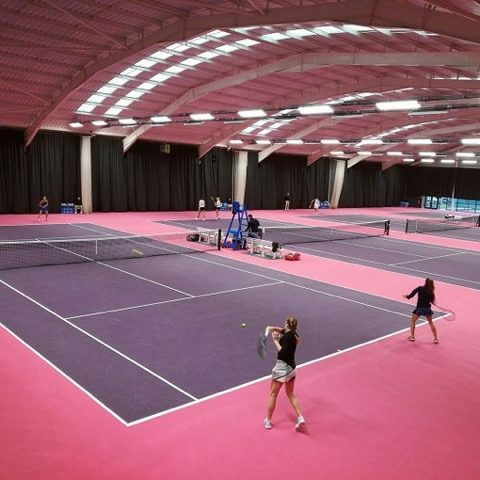 A selection of courts, clubs and facilities we have worked at is below. Conversion of area for promotional event. DO YOU CARRY OUT A FREE SITE VISIT? Yes. It’s important to see your court(s) and meet with yourself so we can provide you with the correct advice and match our quotation to your needs. WHAT DOES A FULL REFURBISHMENT INVOLVE? 1. Apply chemical treatment to kill moss. 2. Clean the surface once the moss is dead. 3. Bind, Paint & Line the court. OUR COURT HAS MOSS, WHAT CAN BE DONE? Moss takes hold on porous macadam surfaces due to natural elements. A chemical treatment application to kill the moss prior to surface cleaning is recommended. It’s important to kill the moss first as cleaning a court with live moss can damage the surface. There is no residual moss killer that will prevent future growth over a long period of time. 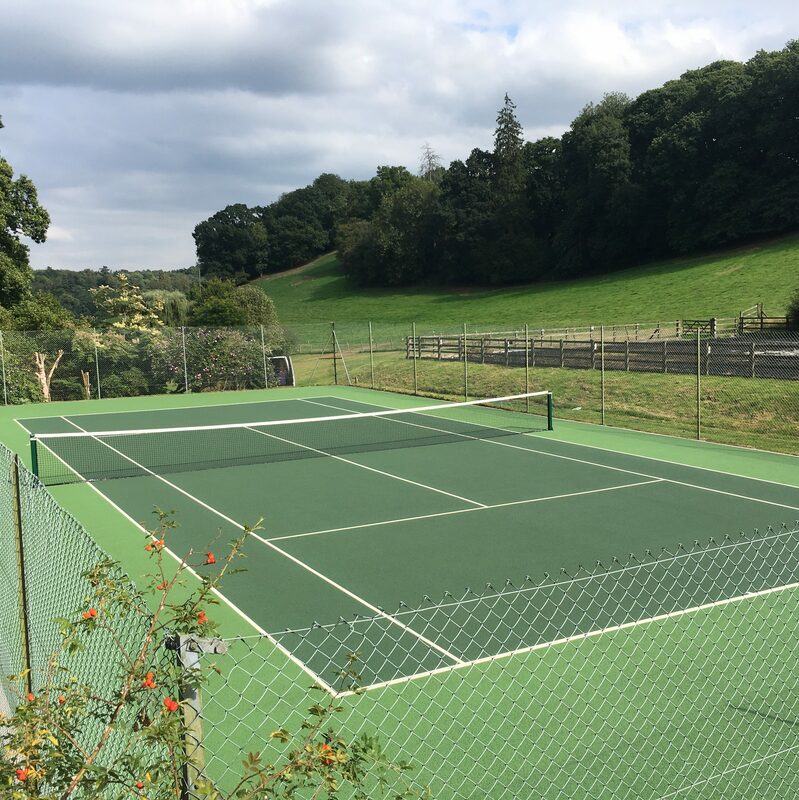 It is not uncommon for moss to start growing again, particularly on shaded areas of a court that remain damp for large parts of the year, and a regular Spring & Autumn treatment programme should be considered. HOW LONG DOES IT TAKE TO CLEAN A COURT? It usuallly takes one day to clean a single court, but this does depend on the strength of the water supply and how dirty the surface is. Our price is for the full job, not a daily rate. WILL THE COURT NEED CLEANING BEFORE REPAINTING? lying on the surface is normal and will be swept or blown free immediately prior to painting. WHEN CAN YOU PAINT A COURT? Painting can only be carried out in fine, dry and reasonably still weather where temperatures are above 10 – 12 degrees centigrade. This restricts the period that coatings may be applied externally from April to October. HOW LONG DOES IT TAKE TO PAINT A COURT? In good weather painting a standard court is achieved in a day. The lines are applied at the same time. 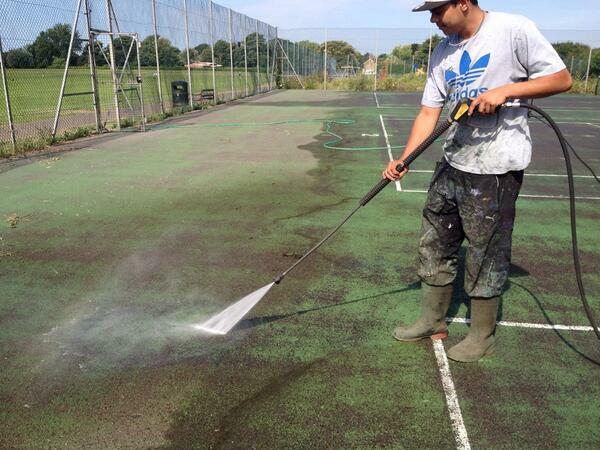 Where there is more than one court we can increase the manpower and number of spray guns to achieve this in 1-2 days. During unsettled weather, 2 or more visits are commonplace to finish the court. We use a manufacturer that produces a high quality range of paints and binders with different characteristics. 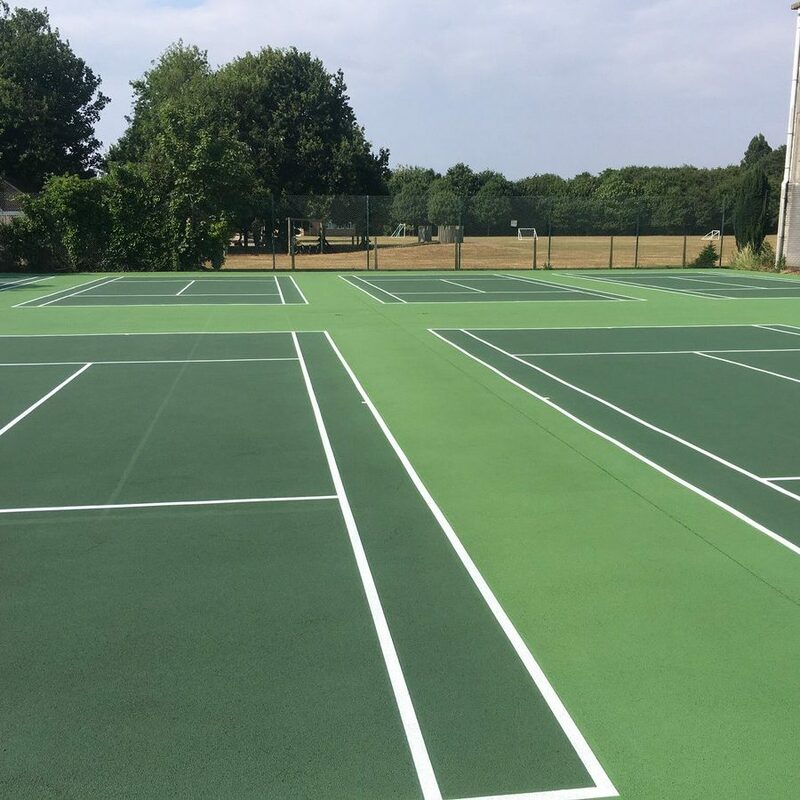 Factors such as position of the courts, type and severity of use all need consideration when choosing the most suitable coating. 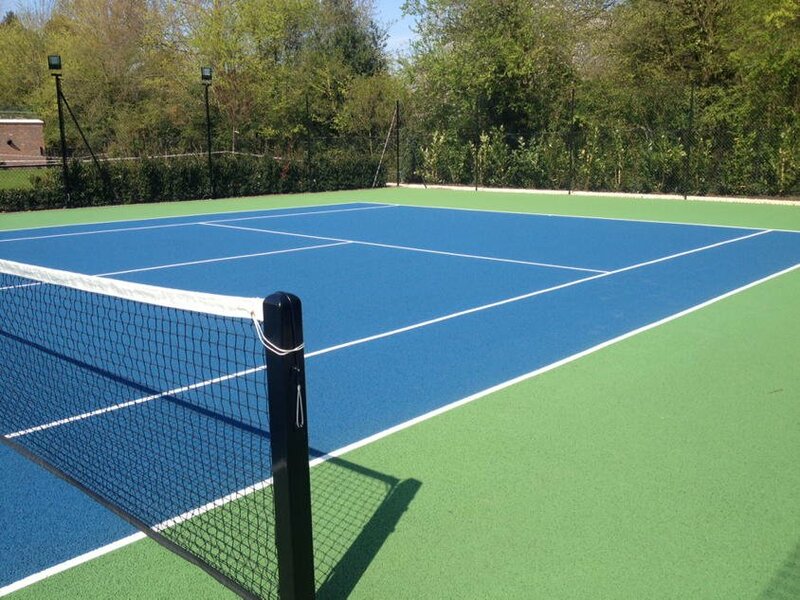 Acrylic is a standard coating for courts that are in good condition. 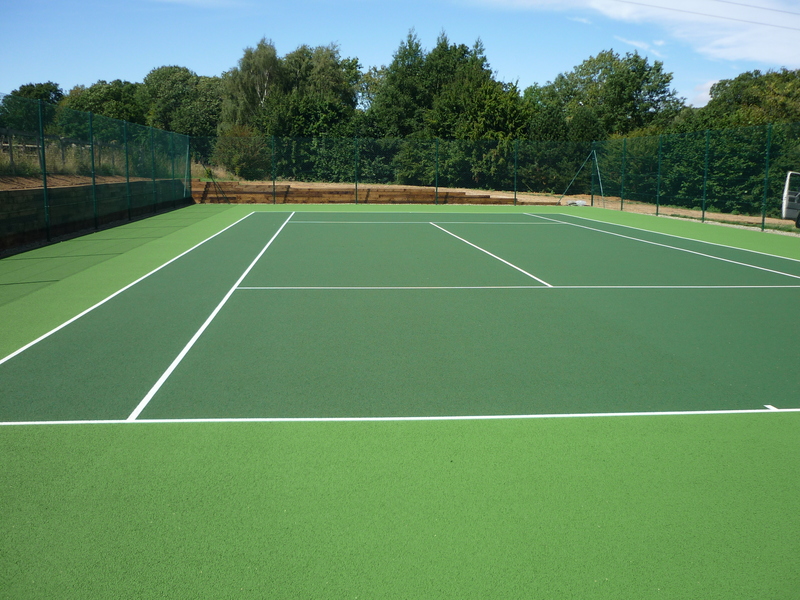 Polyurethane paint and binders are chosen to strengthen an ageing surface, or where a court is used intensively. 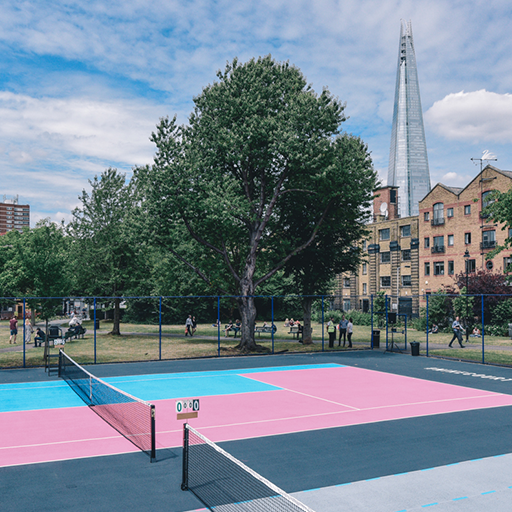 WHEN CAN WE PLAY ON A COURT AFTER PAINTING? The paint is touch dry upon completion of the work. The paint then hardens but this is dependent on the temperature. Play can usually occur after 3 days but in low temperatures this can take 5 days and this will be advised at the time. WHAT ARE SLIP RESISTANCE LEVELS? 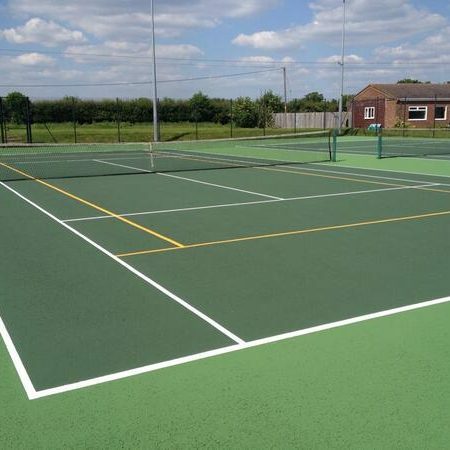 Within the paint texturing agents are added to provide adequate grip in dry, wet and damp conditions. The value recommended by the LTA for Tennis & Mini Tennis is 60 and by the AENA for netball are 75. It is important to appreciate that the level of grip required for netball will result in quite an abrasive finish to the court surface. Be aware of websites whose work claims to be “SAPCA approved” as more often than not these companies won’t be a member. The SAPCA codes of practice are intended as a guide to ensure standards and quality from SAPCA members. They are not designed to form part of a contract or to be used as specification in their own right.